IAmElemental started with two friends (mothers) who were frustrated by what they didn’t see in the toy market, which was a lack of toys for girls. After lots of dreaming, planning, brainstorming and one big courageous leap later, IAmElemental was born. 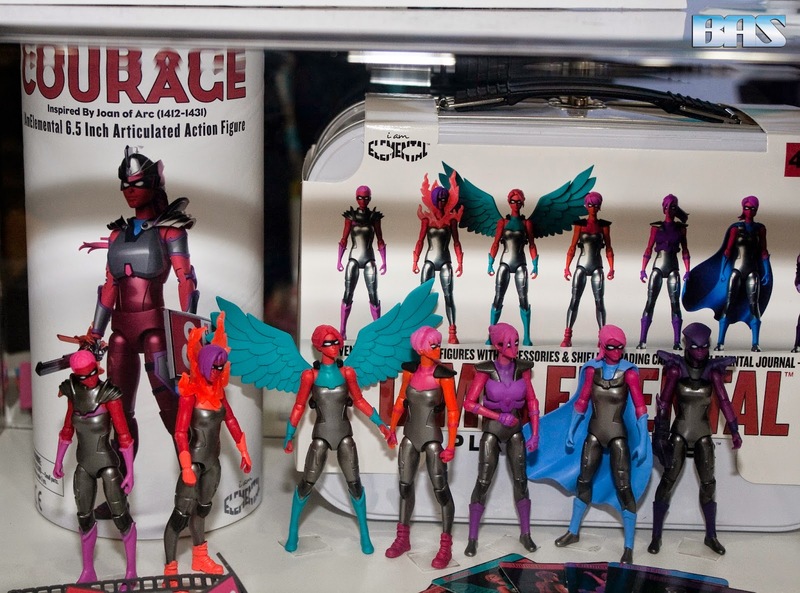 The IAmElemental Team mission is to create toys for play experiences that allow girls (and boys) to envision themselves as strong, powerful and connected beings at the center of a story of their own making. IAmElemental Action Figures were designed to accomplish three goals: They are intended to be a positive and fierce re-interpretation of the traditional female action figure, IAmElemental action figures encourage girls (and boys) to reinvent the Superhero myth by creating their own empowering stories, and lastly The IAmElemental Team created a toy that is super fun to play with and collectable. IAmElemental figures are sold in a blind box individually or in a complete set in a lunch box carrying case which includes an interactive IAE journal, 7 drawstrings carrying bags, 1 bracelet, 2 full sets of IAE trading cards, and a table of elements fold out which gives you an idea of the next wave of figures. 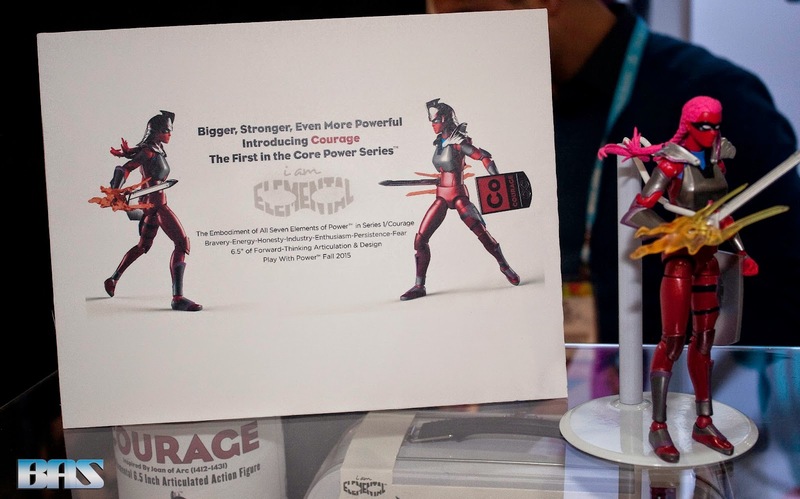 Another interesting fact about these figures is that when they all combine their powers they come together and form the elemental hero Courage. Automoblox® is an award winning, premium toy construction system based on transportation vehicles. Established in 2004, the company’s founders, designer Patrick Calello, entrepreneur Susan Calello and businessman Ray Rega are filling a niche in the toy market for a play experience that combines a back-to-basics approach with both design excellence and educational appeal. 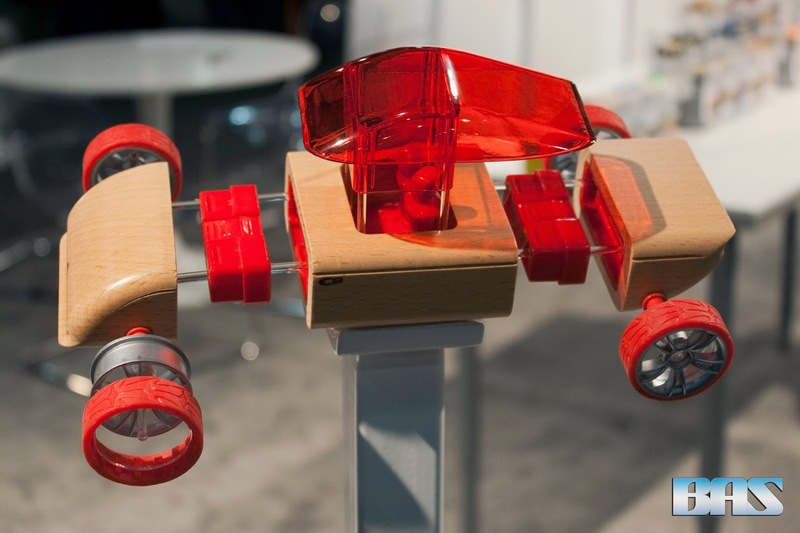 As the reinvention of the classic wooden car toy, Automoblox is the fusion of traditional craftsmanship and modern design, transformed into a mix-and-match building system that allows kids to create car styles as unique as their own personalities. 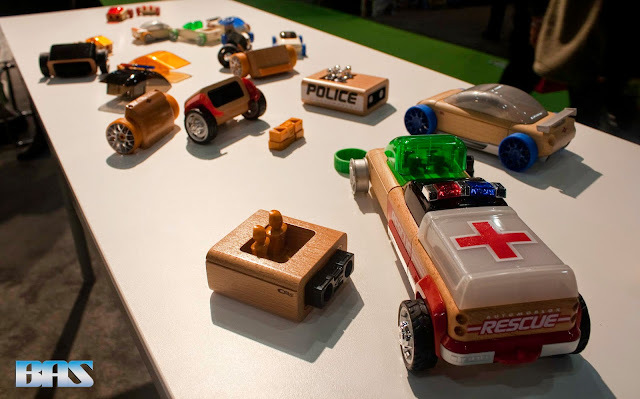 At this year's Toy Fair I stopped by their booth and was really impressed by their line of toy cars. It's a simple toy design, meaning it's not made with complicated parts. It's made of wood and they mirror the looks of classic and modern cars. The coolest part of this is the fact that each car is interchangeable. So you can literally have a hybrid of 2 different cars or more, like having the front hood of a Hot Rod and the back end of an ambulance. These are pretty safe for kids and great for creativity.